Brick and mortar stores face a considerable challenge in providing a comparable experience to their online competitors. The benefits of being able to wander between the racks to spot a steal are now being challenged by online retailers who can leverage consumer data to provide helpful tips and personalise the experience. You know what it’s like, you get that email suggesting the top you’ve been missing. It completes your wardrobe. It goes with every outfit. And the online retailer gets your money because it knows you wanted this. Quite often the same item could have been suggested to you in-store by a good sales associate and you’d have instantly been converted, right? The inability to identify and engage with high potential shoppers is a lose-lose proposition for shopper, store and sales associate. So how do brick and mortar stores compete? How can they provide an experience which marries the benefits of the in-store experience and the personalisation online shopping provides? More than 90 per cent of sales still happen in physical stores, especially when the buying decision is important. Retailers are turning to intelligent, real-time recommendation technologies such as Mindtree’s Flooresense platform to help increase in-store conversions and better compete against their online, data-informed competitors. This technology uses patented video analytics and purchase-intent learning algorithms that work with multisensory data feeds to identify high-potential shoppers and guides the appropriate store associates to shoppers who are likely to become customers if given the necessary assistance. In using in-store analytics like this, retailers are able to profile people and prioritise potential customers, sorting the Millennials from the Lurkers, the Vampire Shoppers and so on. Retail stores have to work hard to compete with one another, as well as with online shopping, and those leading the charge use technology to create a great in-store experience. There are fundamental principles that have been driving transformation in the retail industry and retailers must now focus on personalisation, cost saving and leveraging technology to be successful. When it comes to reimaging the in store experience and transforming the core of retail stores, many factors are at play. The reimagined store and retail experience now must be one which is significantly smaller in size, hyper focused on experience and requires a radical rethink of the entire value chain and the technologies that support it. IoT, sensors and AI are technologies readily available today. Those who are not utilising them are already falling behind their competitors. In the current landscape where retail businesses are being transformed with customer experience in focus, disruptive technology has come to the forefront. One of the biggest challenges posed to retailers is losing a high potential shopper in store who needs assistance to make a purchase decision among a crowd of shoppers. The most innovative retailers are turning to intelligent, real-time recommendation technologies, to help increase their in-store conversions and better compete against their online, data-informed competitors. Millennials are an example of a complex group with specific consumer demands. When they shop, they need a variety of items quickly and easily. Time is always of the essence. Speaking to a Millennial Shopper before their attention shifts back to whatever vegan options are on sale at the nearest food court can make all the difference in converting a sale. Retailers utilising technologies to help them figure out what kind of potential shoppers they have are ahead of their competition. For retailers with strong data platforms, they can react quickly and personalise their approach to secure a higher number of sales. When targeting millennials, this means identifying ‘hot spots’ or parts of the store which hold their interest for the longest amount of time. Using data effectively allows retailers to respond to their shoppers personas to assist them. When it comes to consumers, such as the Vampire Shopper, they can tailor their approach. The Vampire Shopper appears as the sun is going down and the evening is approaching. Five minutes from closing time they enter the store to begin their shopping. To personalise their approach to the Vampire Shoppers, retailers can use data platforms to speed up their processes and get them out of the store with a purchase in hand. Retailers can use technology to eliminate friction points in a shopper’s journey, evaluate in-store sales promotion, and optimise store operations using real-time business intelligence. This in turn, leads to enhanced in-store experience resulting in increased revenue and getting the Vampire Shopper out the door quickly at the end of the day. Another type of consumer retailers encounter is known as The Lurker. You look to the right and you see them hovering by the stands. You look to the left and they are hovering in the aisle. This shopper just wants to mill about without buying anything. The solution to confronting them involves finding a way to make them leave with a purchase. 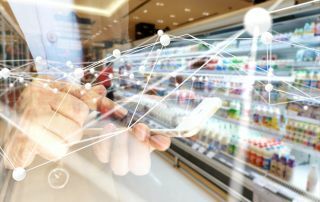 Retailers are adopting techniques ranging from manual counters to advanced sensors to understand footfall and are combining this with the point of sales data. This data only gives them a conversion ratio. That means they are missing the bigger picture, especially when it comes to consumers like The Lurker. Retailers need to utilise technologies that will help them see the bigger picture of consumer behaviour at various touchpoints that facilitate conversion. They need intelligent and analytical solutions that understand and translates visitor behaviour into rich, actionable insights to maximise revenues. Technology can enable retailers to consistently assist the right shopper at the right time, unblocking the critical cog which improves conversion and retains retail store significance. Shoppers come with a variety of personalities, personas, behaviours and intentions. Data driven insights, and the habits certain personas are likely to have, can arm a retailer with what they need to perform successfully. An effective data platform could potentially assist retailers react to their shoppers and provide a personalised approach to each shopper’s persona. With a majority of sales still taking place offline and in store, it is important retailers find a way to incorporate technologies into their physical stores which quickly analyse consumers to ease convenience for shoppers in order to convert sales.